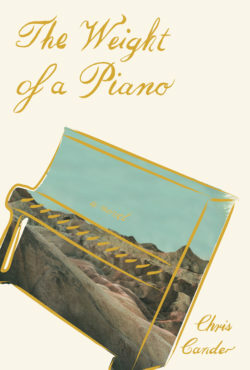 The Weight of a Piano follows the interweaving stories of two women—a Soviet concert pianist and a young mechanic in California—and their shared, devastating connection to the same Blüthner piano, its tragic history, and to each other. In post-WW2 Russia, young pianist Katya Zeldin receives what will become her most prized possession: a Blüthner piano. The piano is the most constant presence of her short life, accompanying her as she marries, flees Russia with her husband and young son as Soviet Refusniks, and re-settles in Los Angeles. In modern day, Clara Lundy struggles to let go of the same Blüthner, which she’s been dragging around with her since her father gifted it to her for her 12th birthday, just before his sudden and unexplained death. Using music and creative passion to illustrate how one object can become the focal point of a lifelong struggle, The Weight of a Piano is ultimately about how we reconcile the present with the past, and how to do so we must sometimes let go of our idealized sense of both.